MAGIX is proud to announce the release of the 11th version of its photo and graphic editing program, Photo & Graphic Designer. 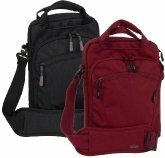 With technology based on the world's fastest vector graphic engine from Xara Designer Pro X, this software seamlessly combines comprehensive image editing with powerful graphic design tools. Intuitive features and a wide range of effects make it possible to edit images and create graphics in a multitude of ways, and the newly-introduced blend modes and art brushes provide even more creative freedom. The highlights of this new release are the four new blend modes, which can be used to create special effects such as double exposures and textures. This allows users to design images which look as if they are drawn on canvas, paper or even stone. Soft light can be used for softer and diffused applications of colour, and hard light allows you to add highlights and intensify contrasts and shadows. The luminance and colour blend modes can be used to easily customize the levels of luminosity and colour intensity. The art brush can be used to stretch photos and vectors along a drawn line, allowing users to create photo-realistic brush patterns, such as watercolours, in a few, easy steps. Photo & Graphic Designer 11 also offers the possibility of morphing vectors. Brush strokes and all other vectors can be enlarged, turned, compressed and distorted in any way. The process of creating graphic intersections has also been significantly optimized and simplified, and complex forms can now be drawn much faster. Working with text has also be streamlined. Automatic line breaks are now possible, and text styles have been further optimized. 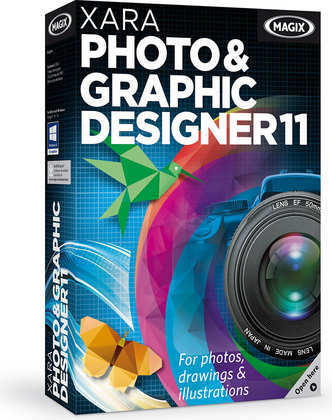 MAGIX Photo & Graphic Designer 11 is available in shops and online now for £49.99.